“The Kaduna State Government is saddened by the loss of Professor Jonathan Andrew Nok, our respected Commissioner for Education, Science, and Technology. Professor Nok was a man of intellect, ability and deep conviction who will be sorely missed. “Governor Nasir El-Rufai has led members of the State Executive Council to visit and commiserate with the Nok family. At this moment of distress, the government prays God to comfort his family and grant his gentle soul peaceful repose. Malam El-Rufai described Professor Nok as a pillar of the cabinet, a man as distinguished in learning as he was a capable administrator, adept at getting things done and dedicated to the progress of the state. Professor Nok was appointed Commissioner for Health and Human Services in August 2015. In that office, he pushed the programme to equip 255 primary health centers with tools to save infants and pregnant women. Following a cabinet reshuffle, he moved to the Ministry of Education, Science and Technology in 2016. He has championed the renovation and rehabilitation of schools, the training of teachers and the provision of better learning aids. 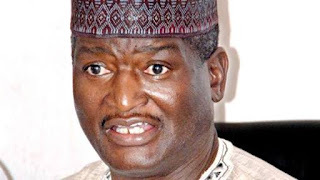 The late commissioner was a professor of Biochemistry at the Ahmadu Bello University, Zaria. Acknowledged in the science community for his contributions, Professor Nok won the Alexander Humboldt prize in 2013 for his research into finding a cure for trypanosomiasis. In 2009, he won the NLNG prize for identifying the gene responsible for the enzyme which causes sleeping sickness (trypanosomiasis). The Federal Government also honored him with the Nigerian National Order of Merit (NNOM).